News and statements from Depression Sanctuary. Please read through our Internet Safety Tips. We do our very best to keep our chat room safe. You can safely click on URLs we have posted on our website, but we can’t guarantee that URLs posted from chatters are safe. Avoid posting any personal information online, like your address, email address or phone number. Before you click on a URL, check what the URL says. Be sure that it is a URL from a domain you can trust, or use a tool to check if the domain is safe. Never give your password to anyone. No matter if it’s a friend or a family member. Be careful when posting pictures or videos of yourself online. Once a picture is uploaded to the Internet, it will stay there forever. Don’t befriend people you don’t know on social media, like Facebook, Instagram or Snapchat. Remember that not everyone online is who they say they are. Always be careful about trusting people you don’t know online. If someone is making you uncomfortable online, block the person or leave the website. Our chat room has an ignore function that you can use to block members who are making you feel unsafe. You can contact one of our hosts if someone makes you feel uncomfortable or unsafe, or you can contact us through email. Think before opening email attachments. Do not open email attachments from people you don’t know, or companies you don’t trust. If something sounds too be good to be true, it probably is. If you get an email from Depression Sanctuary, make sure that the email domain is @depressionsanctuary.org. We will never send you an email from any other domain. Snopes.com – A fact checker website. Scamadviser.com – Check if a website is safe. Nomoreransom.com – A website that can help you if you get a “Ransom Virus”. Is a project by Europol and other international law enforcements. We are proud to introduce you to our brand new chat room software. The new chat room have all of the old features, and some new. # Chat everywhere – Our new chat works in the same way on all computes, tablets and phones. # Friend list – You can now make your own friend list. This allows you to send messages to your friends even if they are offline. # Private chat – We are reintroducing one of our previous functions; private chats. You can now have a private chat with other chatters. # Chat rooms – You will find all our current chat rooms; main room, chit chat and sensitive topics. # Profile picture – You can now upload your own profile picture. It will be displayed in your profile, and will be visible next to your username. # Text settings – You can now personalize your messages even more! You can now add text color, background color and more! If you need help using the new chat, feel free to contact our technical support. You may have noticed that we have added a new chat room: Chit Chat. We realize that people have many different needs. Sometimes, you need to discuss very serious topics and know that you have the full support of the room. And, sometimes, you need to simply be around other people and distract yourself with lighter conversation. Most of the time those two things coexist with each other quite well. But, sometimes the room topic becomes too heavy or triggering. Or you just don’t feel like talking about depression, but want to be around people. Or you’re having a good conversation with someone that’s off-topic, but you really want to continue it without disrupting the support that’s going on. Now, when these situations come up, you can grab a friend and head over to the Chit Chat room. There are some new features on Depression Sanctuary, and we hope you will like them! Private messages – You can now send private messages with other users on the main site. It doesn’t matter if the user is offline or online. Don’t want the private messages-feature? No worries! You can easly turn them off in the settings. New profiles – We have freshened up the profiles. You can now write a short biography, select gender, country and languages you speak. Don’t want anyone to see your profile? You can change your privacy setting in the settings. Notifications – If someone messages you, you will now get a email notification. You will only get this notification if you haven’t been online in one week. You can turn notifications off in the settings. 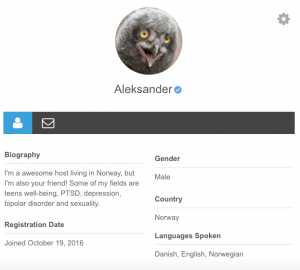 Verified profiles – Not sure if a user is a host/staff? Users that are hosts/staff now have a verified profile. After the username there is a blue icon! Contact a Host – Do you want to send a private message to a host? No problem! You can now see a list over all the hosts, and send them a private message. Click here to find the list. Have you seen our other features? Questions & Answers – Did you know we provide a “Questions & Answers”-service? No questions are too big or too small. Our staff and members are answering your questions – and it’s free! Ask a question – Something you want an answer to? Try to ask us a question. Our staff and members are answering your questions – and it’s free! Calendar/Schedule – Sometimes the chat room can be empty. You can check out our calendar to find out when a host will be online in the chat. Every time we update our calendar you will get a notification on our website. In need of technical support? Click here, and we’ll help you. Ever wanted to add an avatar to your profile? It’s possible with technology from Gravatar.com. Here’s the basic information about Gravatar and how it works. 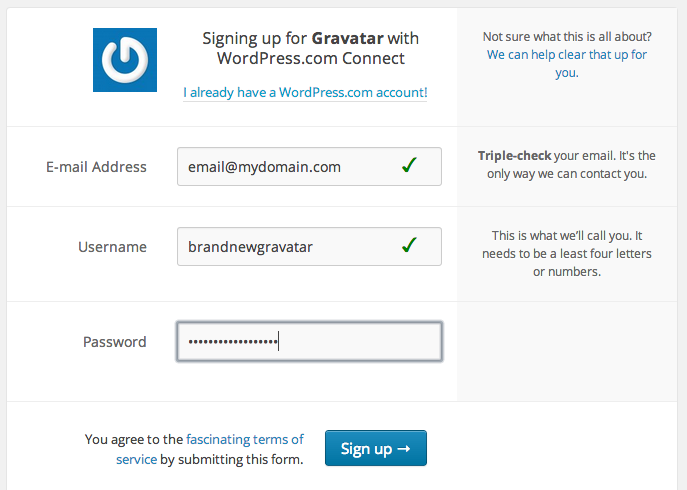 Getting started with Gravatar is easy; you’ll need to have a WordPress.com account and then authorize that account to connect to Gravatar. You’ll see a sign in window that will appear and ask for your WordPress.com account information. If you have a WordPress.com account, please enter that information here. (You’ll then be asked to authorize Gravatar for your account.) If you don’t, please click Need an account? to register for a new account. If you need to sign up for a new account, please enter your email address (make sure this is correct), and select a username and a password. The system will tell you if any of the information you are entering is invalid. Click Sign Up to submit your registration. Now, we’ll send you an email to confirm your address. You won’t be able to use Gravatar until you click on the link in that email. 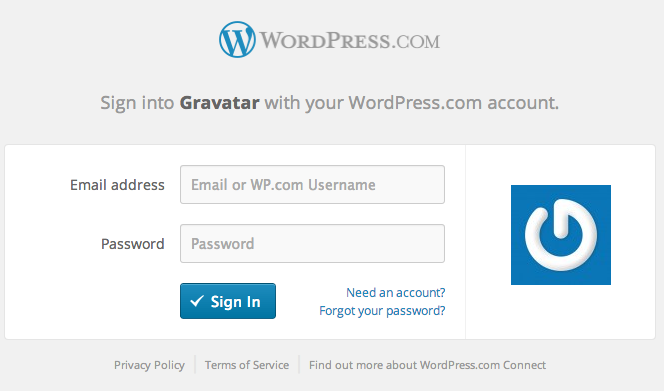 The email will come from WordPress.com, not Gravatar. Click on the Activate Account button to finish the process. You’ll be taken back to WordPress.com where you’ll see a wessage thanking you for confirming your email and asking you if you want to head back over to Gravatar. Click the Sign In to Gravatar button to do that. We’ll log you in to Gravatar automatically. That’s it! You are ready to add images and customize your profile. For your Gravatar to work properly, we’ll first need you to provide us with an image for your profile. Follow these steps to upload that image and prepare it for use with your account. We’ll ask you where you’d like to source this image. Click My computer’s hard drive. Now we’ll ask you to direct the uploader to the image in question. Click Choose File. Your Gravatar image can then be added to your address. We’ll ask you which one it should apply to right away, or you can wait and not assign it to any of your registered emails yet. Make your selection, and then you’re done! You’ll be taken to the My Gravatars screen, where you can continue to manage the images and email addresses that are assigned to your account. Where Will My Gravatar Appear? 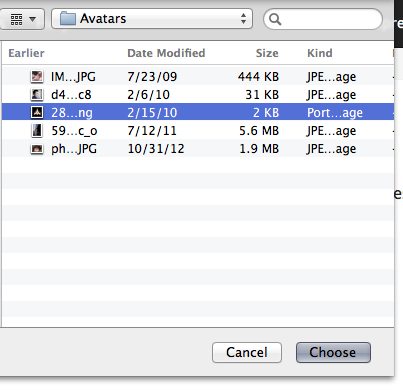 The site you’re using needs to support the Gravatar service for loading images. Though many sites and blogs do this, Gravatar isn’t yet in use everywhere. Notable exceptions are services like Facebook, Twitter, and LinkedIn, which don’t yet support Gravatars. The email address you use for your account on the other site must be one of the email addresses that is registered to your Gravatar account. 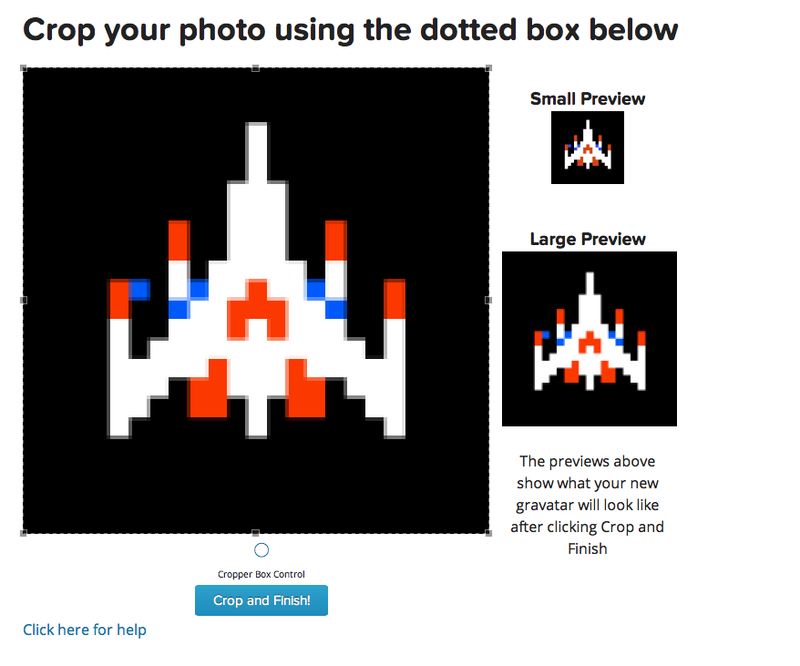 Gravatar uses your email address to provide your image to other sites. If we don’t have any record of your email address, Gravatar won’t be able to display your image. 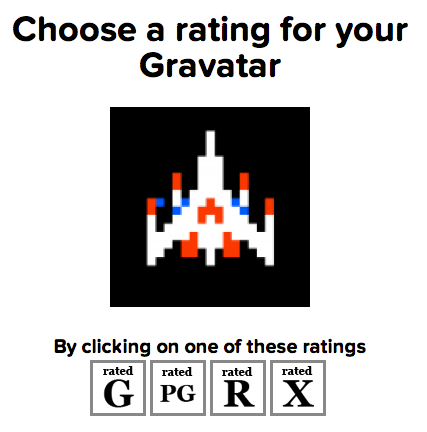 Your selected Gravatar must use a rating that’s permitted by the other site. Lots of sites restrict Gravatar images to G or PG ratings only. 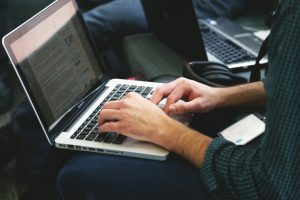 WordPress.com blogs are set by default to only permit G-rated images. If your Gravatar’s rating is higher than the rating allowed by the site, a default image will appear instead of your chosen Gravatar. If you need to check your Gravatar to see how it will appear, we’ve set up a page where you can check the Gravatar for your email. Enter your email address and click check. We’ll show you the image for that email and what it’s rated. Click here to get started with Gravatar. Click here to read Gravatars “Help”-section.